How up-to-date is your geographical thought? Are parts of your curriculum becoming tired and out-dated? Effective Innovation in the Secondary Geography Curriculum will help training and practising secondary school teachers understand how to evaluate and refresh their curriculum in order to ensure that what they teach is relevant, topical and creative. How to create innovative, enduring curricula for human, physical and environmental geographies. 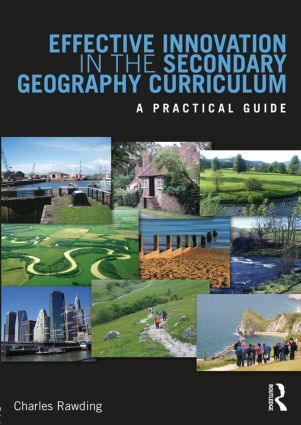 Providing insights into the latest thinking in geography in a concise and accessible manner, Effective Innovation in the Secondary Geography Curriculum will ensure motivating, lively and successful geography teaching and learning. How do you know if your Geography is fit for purpose?